3"x12" Basket / Perfect for storing small household or hardware items! Ventilated, narrow wire basket, graphite color with easy to attach, universal tongue and groove design for Wallscape slatwall. 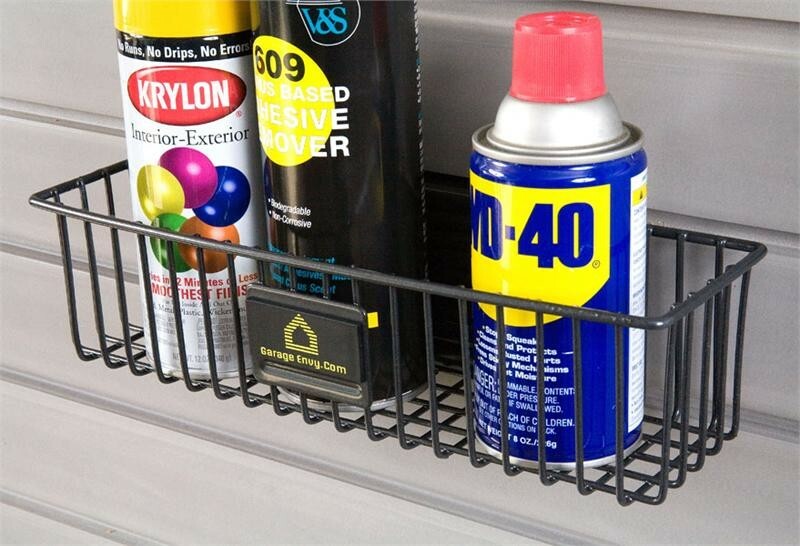 A great slatwall accessory for storing aerosol cans, brushes, or an assortment of small hardware items.